When an emergency strikes, Doctors Without Borders/Medecins Sans Frontieres (MSF's) aid workers are often the first to respond and in many contexts they are the only providers of healthcare. By supporting MSF's Emergency Relief Fund (ERF), you will help our response to emergencies around the world. Our teams provide assistance when catastrophic events-such as armed conflict, epidemics, malnutrition, or natural disasters-overwhelm local health systems. This fund enables MSF to launch an emergency program based entirely on the needs of the people caught in crisis. MSF programs supported by the ERF serve victims of natural and man-made disasters where little to no healthcare services are available. 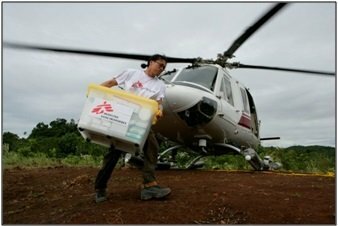 The ERF allocates funds to help MSF teams respond to emergencies around the world, whether or not they attract attention from the media or garner contributions from donors. By supporting the ERF, you will help our teams respond as quickly as possible when disaster strikes. Find another project in South Sudan or in Disaster Recovery that needs your help.